Today’s world requires camp to adapt to an unprecedented pace of change. 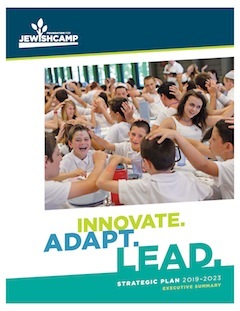 Through innovation and building “adaptive capacity,” the Foundation for Jewish Camp, which works with more than 180 Jewish summer camps, will be better suited to help Jewish camps evolve and ensure long-term, sustainable results. Adaptive capacity, as defined by Ronald Heifetz – co-founder of Cambridge Leadership Associates and author of numerous books – is “the practice of mobilizing people to tackle tough challenges and thrive.” It requires the ability to be reflective; to be open and curious to changes in the environment; to use data and evaluation to determine the best path forward; to innovate where new approaches are required; to work collaboratively and leverage diverse experiences and perspectives; and to successfully lead systemic change. FJC is challenging what it means to be a Jewish camp. This evolution has resulted in significant shifts in how FJC thinks about the field and its work. “Camp” is now framed as a year-round continuum of immersive, meaningful experiences beginning at the earliest ages and continuing through the teen years, college, and into adulthood and family life, delivered through day camps, overnight camps, family camps and year-round offerings. Looking ahead, FJC has identified three strategic priorities for the field that include investments in new initiatives and in existing areas of proven impact: develop adaptive talent, deepen immersive learning and drive field growth. These priorities are designed to amplify one another, and the success in any one area is co-dependent on success in the others. Talent development is critical to grow and enhance the field of Jewish camp. FJC has long invested in field professionals. As Jewish camp evolves, FJC must now take an adaptive approach to leadership development, both professional and lay, that meets the needs of current and future Jewish leaders. Counselors are the linchpin of the Jewish camp experience. These Jewish role models inspire campers to return year after year. Additionally, when a camper returns as a counselor, the impact of the camping experience is amplified, as staff internalize the lessons of their own experience to create similar (or better) ones for their campers. At the same time, it has become more challenging to recruit and retain counselors due to competition from internships and parental pressures. FJC will uncover and create new staffing and supervision structures that create a learning framework for these future leaders as well as recognition of the purpose-driven nature of their work. The new models will seek flexibility in camp schedules and create new modalities of training staff to enhance college, career and life-readiness skills. Jewish camps are experiencing ever-increasing turnover of executive leadership, which is expected to continue over the next five years. FJC seeks to increase investment in the leadership and talent pipeline of camps, cultivating new and refreshed opportunities to engage with and propel Jewish camp and lay leaders at every stage of their development. These initiatives represent opportunities to retain and accelerate the careers of outstanding young talent, build crucial networks among the field and provide high-level, skill-building professional development opportunities. Rather than focus on one single cohort program or development workshop, FJC will ensure attention to the entire talent pipeline. • Increase retention rates by 25% or more over current benchmark; easier recruitment of seasonal staff. • Improve quality of leadership that will drive retention rates and satisfaction scores for campers and staff. Jewish camps must adapt, expand and evolve in response to societal changes and the manner in which families belong and engage Jewishly. FJC is prioritizing initiatives that will bring the “magic” of camp further into the community by helping camps articulate their Jewish missions, develop programs and ensure the entire camp community is safe and secure for both campers and staff. As participation in traditional Jewish activities has declined, camp has become a primary immersive and educational experience for many children. Camp is often the preferred Jewish brand for these families, where their children feel a profound sense of belonging. 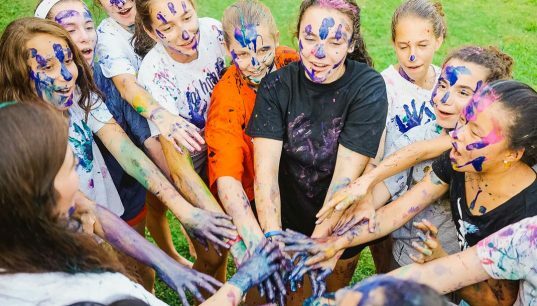 With summer participation in experiential, immersive learning as the anchor, Jewish camps can and should play a greater role in the community, supplementing the summer with year-round experiences that ensure campers have opportunities to connect with peers through Jewish activities and educational experiences. FJC will invest in year-round programs to maximize the impact of the camp experience. From FJC’s inception, ensuring that summers at Jewish camp translate into a robust Jewish future has been central to the mission. To do so effectively, FJC takes a holistic approach – working closely with camps and their various stakeholders, giving them a framework to help them enrich and refresh how they articulate and realize their unique Jewish vision. 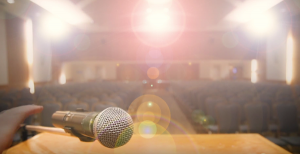 Investing in the enrichment of senior camp professionals, as well as attracting and recruiting talented Jewish educators, will bring this vision to life, and are critical to a strong Jewish educational program. • 30% of camps have increased their year-round engagement opportunities. • Higher-quality Jewish and Israel learning opportunities for campers and staff have been put into action. Over the past 10 years, camp enrolment has grown 22% in an era of overall declining participation in the traditional Jewish institutions. To accelerate this growth, FJC is prioritizing initiatives that will both increase the pipeline of Jewish campers and ensure accessibility for campers from all backgrounds. To this end, FJC’s initiatives will focus on how to attract families with young children by engaging them at an earlier and highly formative time; continue the work of increasing competitiveness of Jewish camps through the development of specialty programs; expand access through financial incentives; and promote full physical, social, educational and spiritual access for all campers and staff, irrespective of their abilities. Families are seeking meaningful connection and community in new ways. Building an earlier entry point to the Jewish camp experience will increase the number of campers and families making Jewish summer choices. The focus will include incubating, expanding and strengthening intentional Jewish day camps and family camps in order to engage children at the earliest ages along with their families. FJC’s core growth programs, including One Happy Camper and new specialty camps and tracks, have driven growth in the field. Diversity and inclusion, as well as community care, must endure and evolve so that the Jewish camp field continues to increase enrolment and improve both retention and camper satisfaction. Continual investment in physical facilities will also increase overall enrolment and ensure that camp is a welcoming and safe environment for all. • Grow the field by 20%, reaching 215,000 annual camp participants. • Year-over-year increases in family participation in camp experiences. • Increase training, application and family visibility for diversity, equity and inclusion initiatives. • Increase diversity at camp. For more on FJC and its strategic plan, visit jewishcamp.org.